Be in control of every situation – QUICKLY AND EASILY! Need a way to boost your confidence? Want to be able to remain cool under pressure? 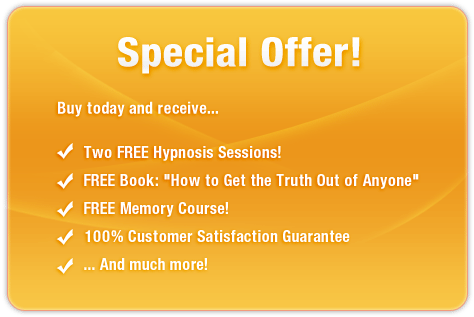 This remarkable subliminal audio recording will instantly remove ALL your doubts and social inadequacies. Using the latest in subliminal messaging technology, the Skyrocket Your Self-Confidence! session delivers thousands of high-energy, positive, motivational messages directly to your subconscious - allowing the confident you to come to the surface! And it’s 100% risk-free! If you’re not completely satisfied with your new, positive self-image, let us know within 90 days and we’ll refund your order in full. Don’t struggle to be who you really are! Purchase Skyrocket Your Self-Confidence! TODAY and enjoy amazing results right away!